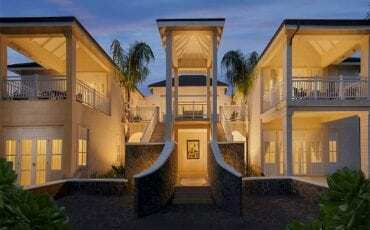 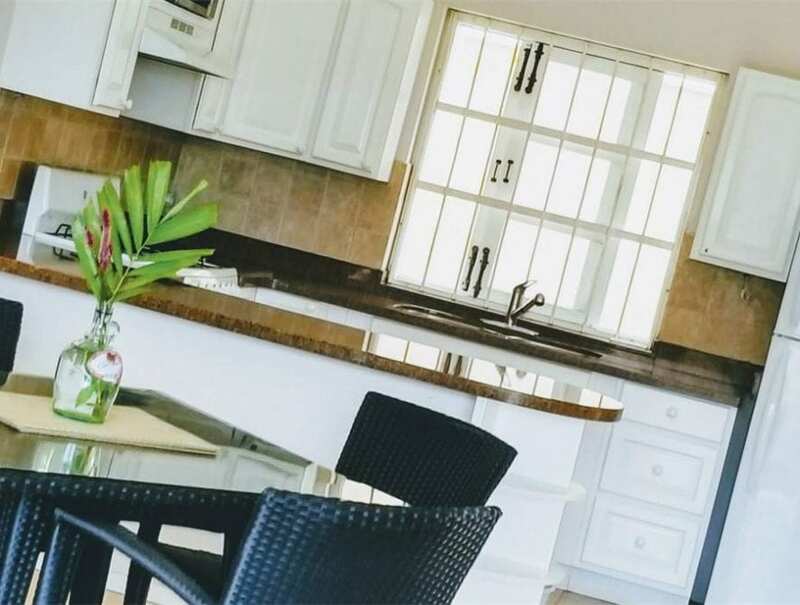 Francyn Villa is an architectural masterpiece, crowned with exceptional interior finishes. 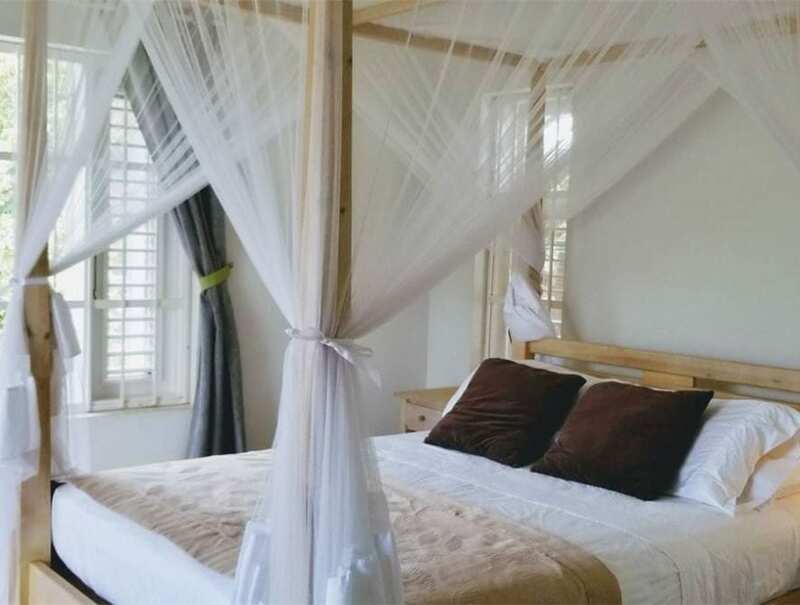 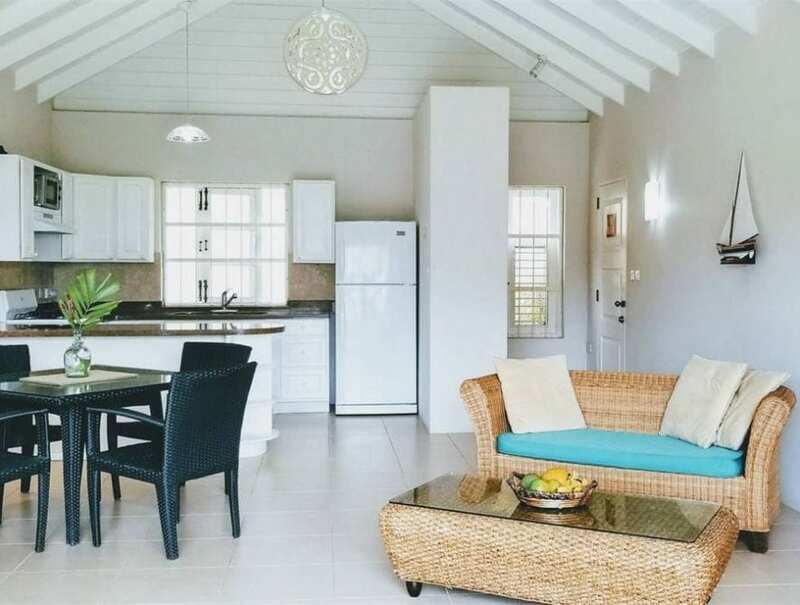 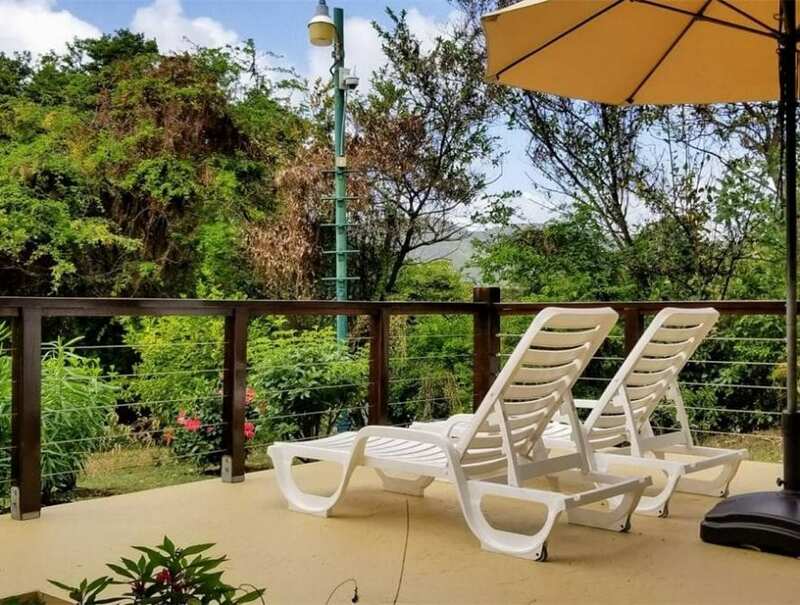 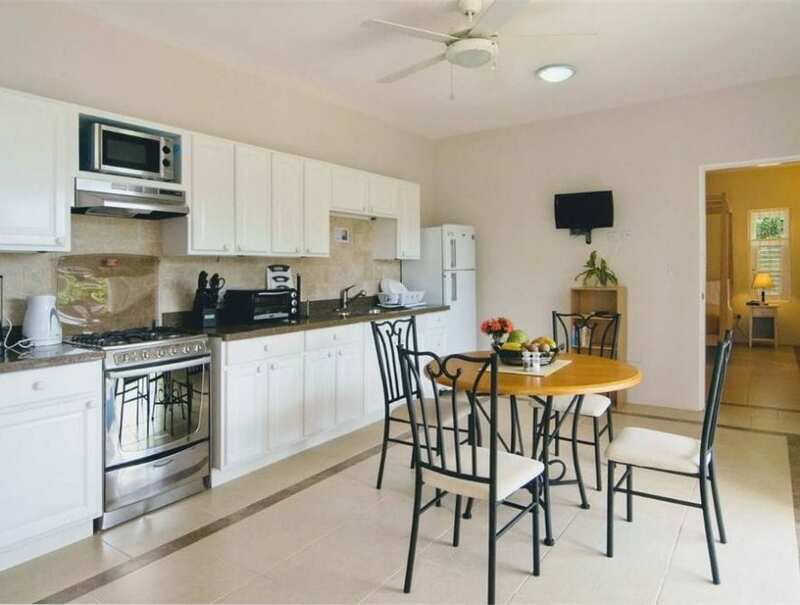 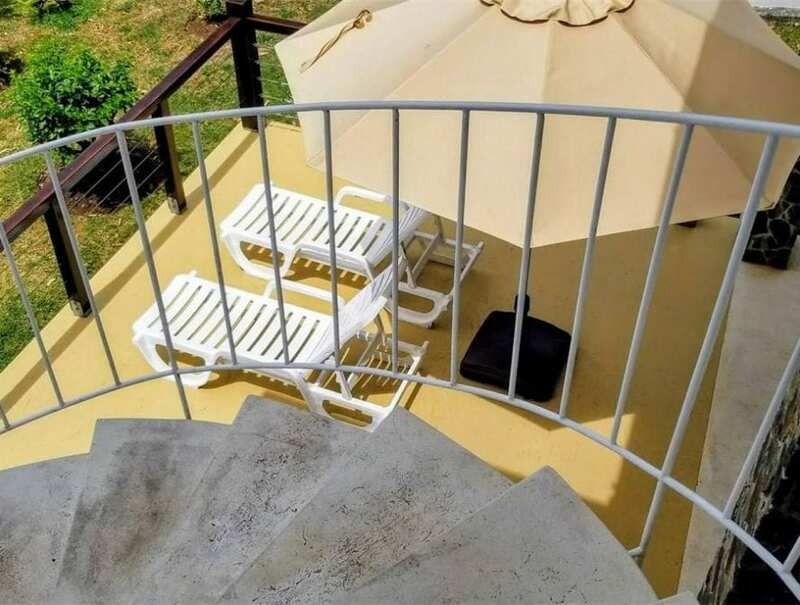 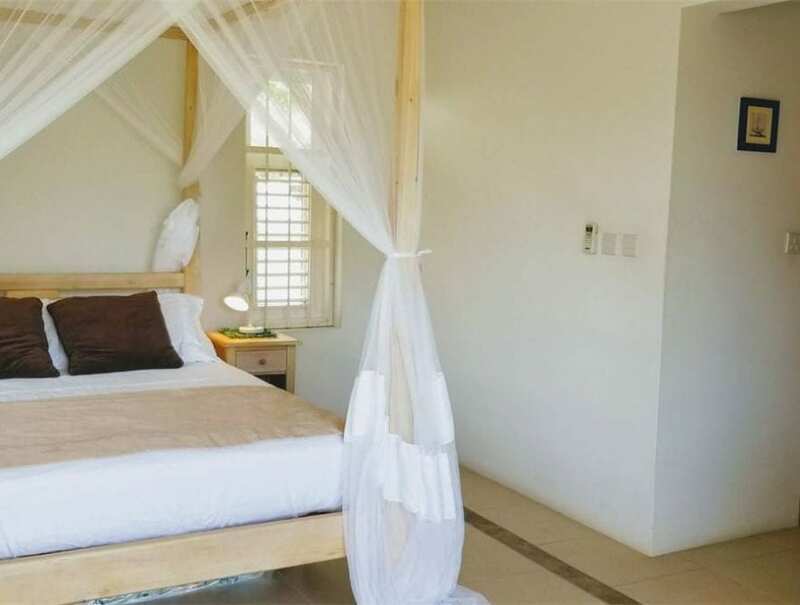 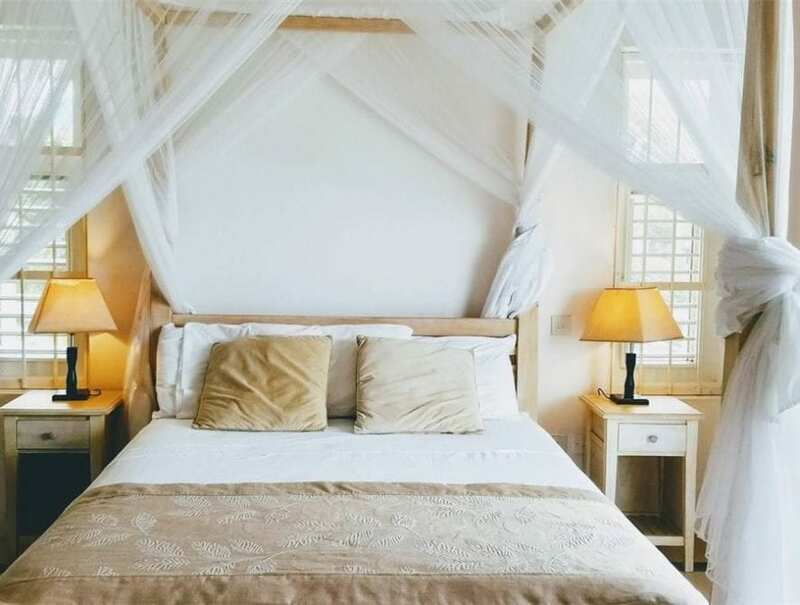 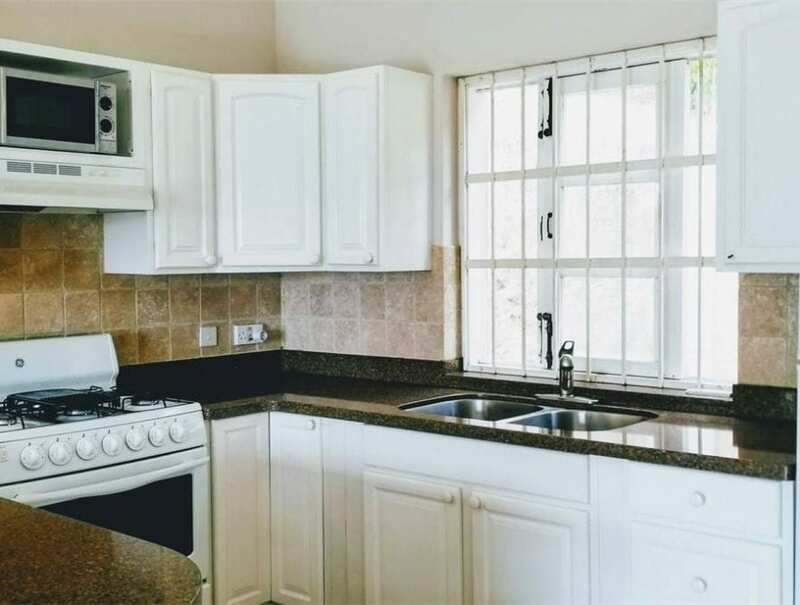 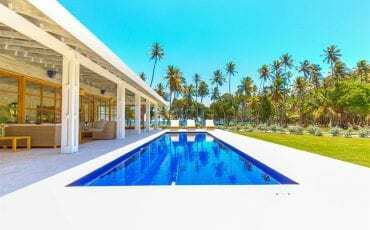 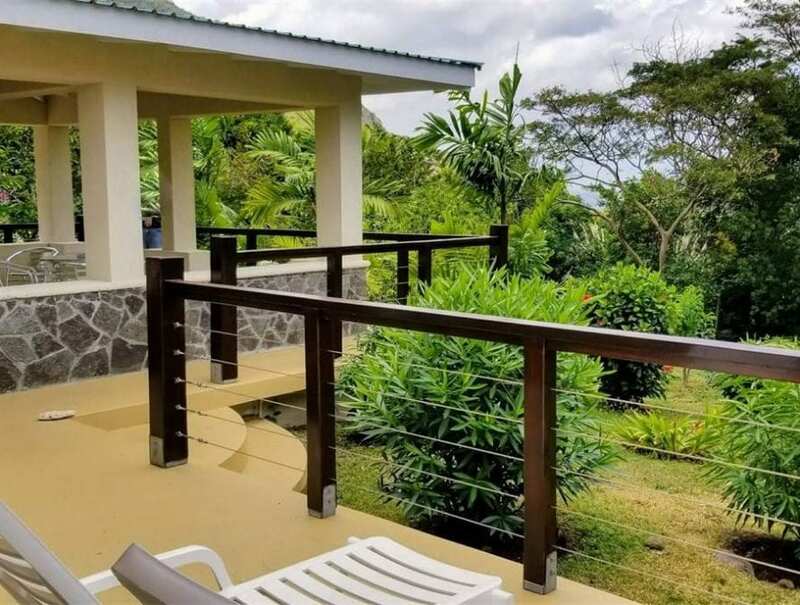 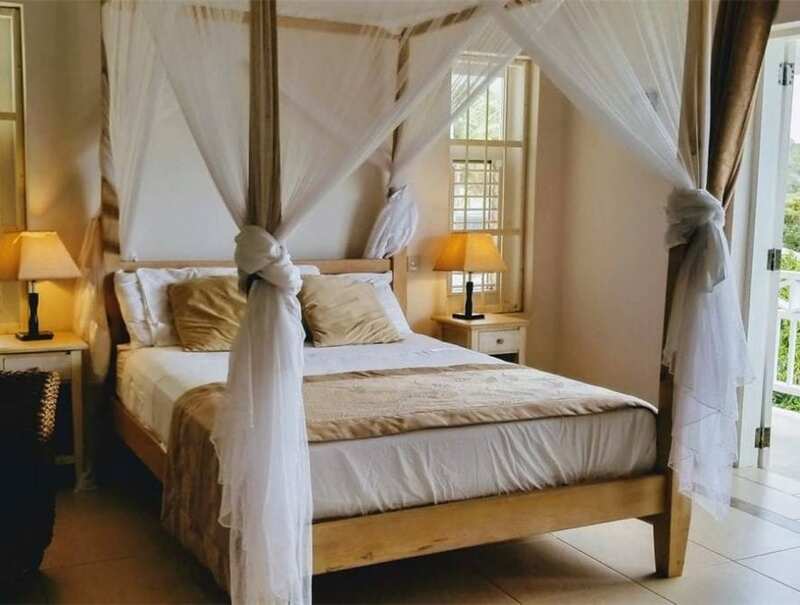 This stunning four-bedroom villa is uniquely designed with the option to use it as two self-contained, two-bedroom apartments, both complete with a stunning modern and independent living space, inviting balcony and beautiful kitchen. 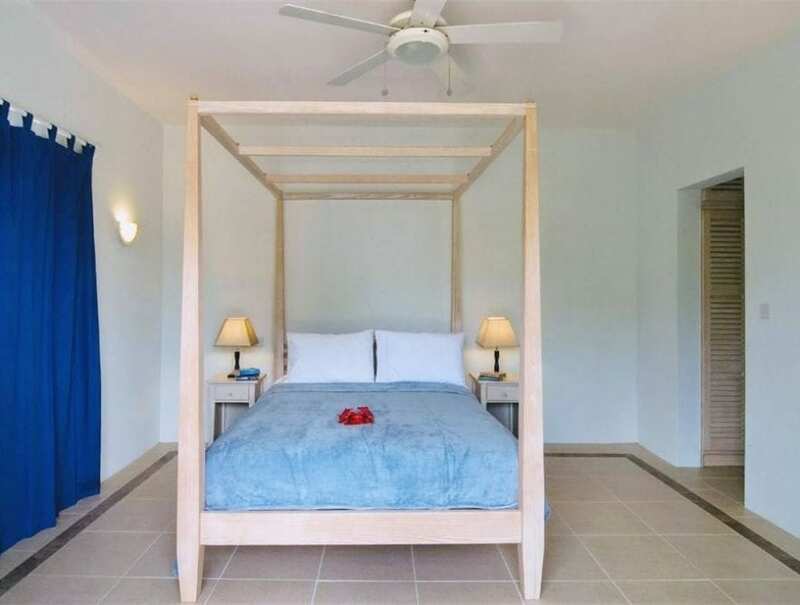 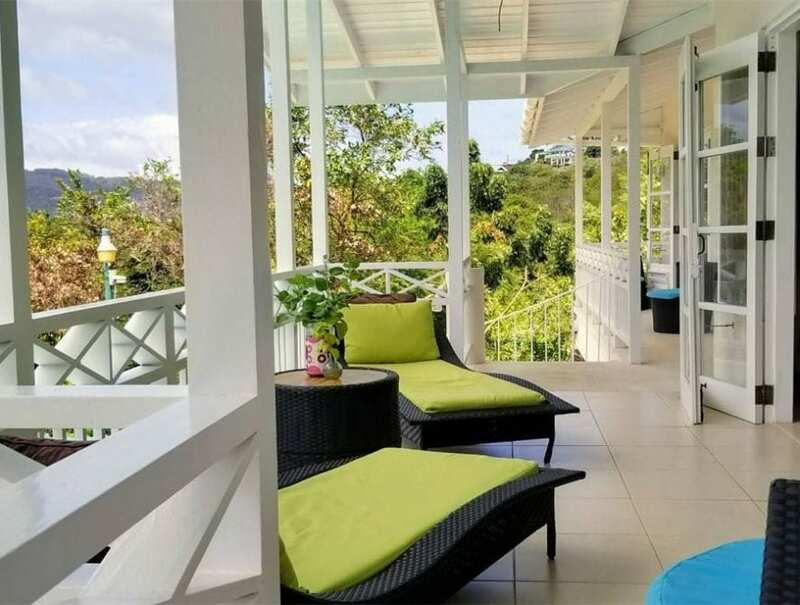 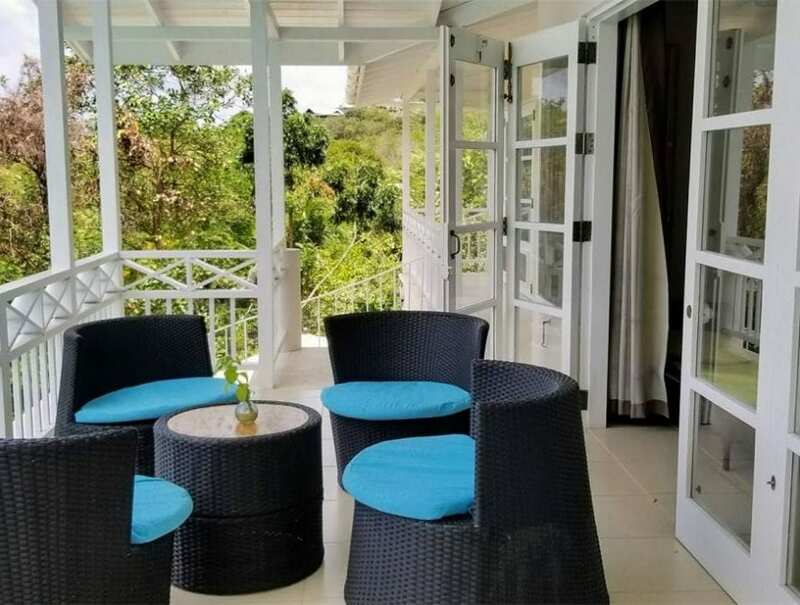 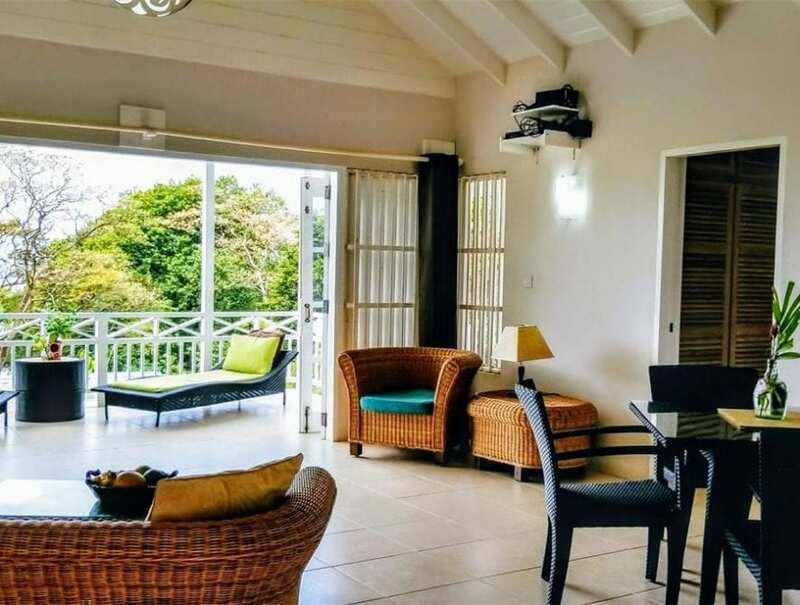 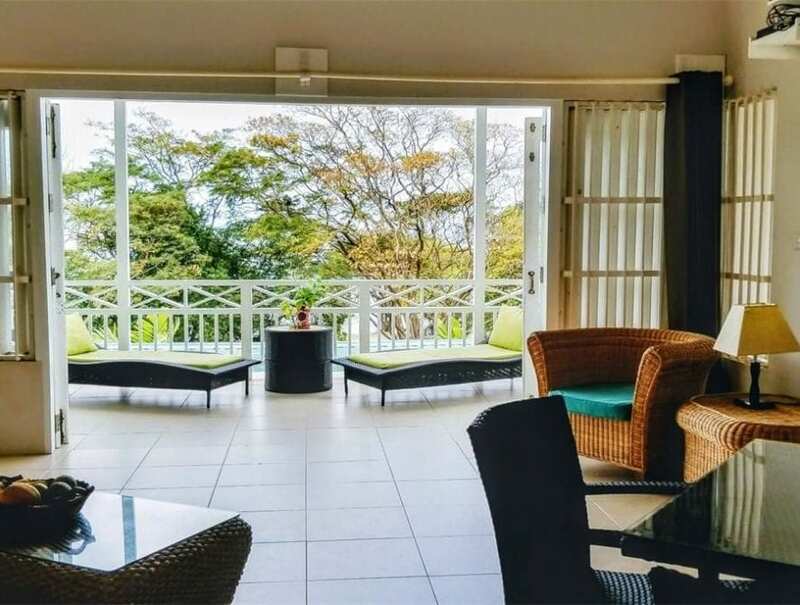 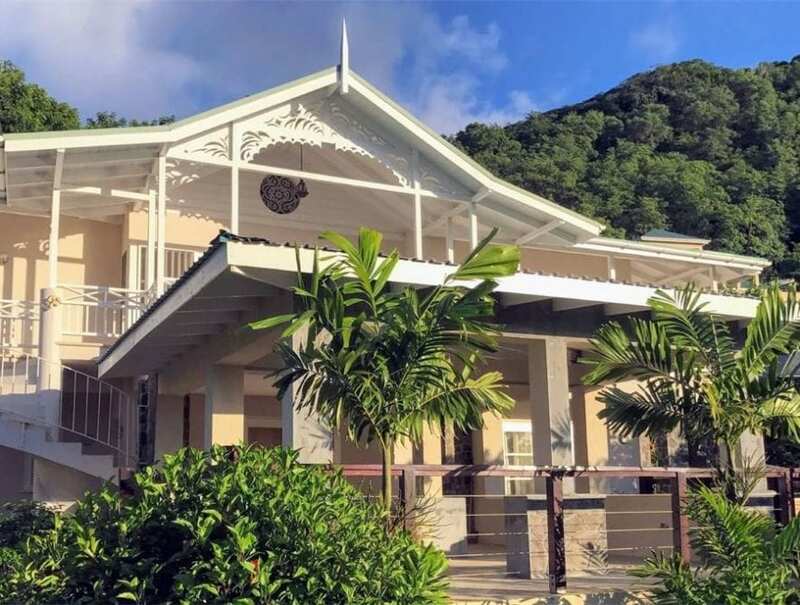 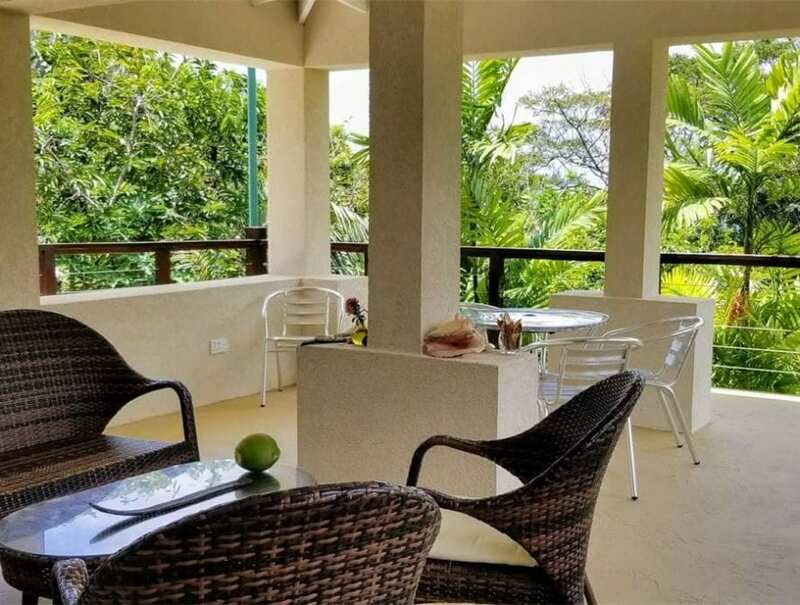 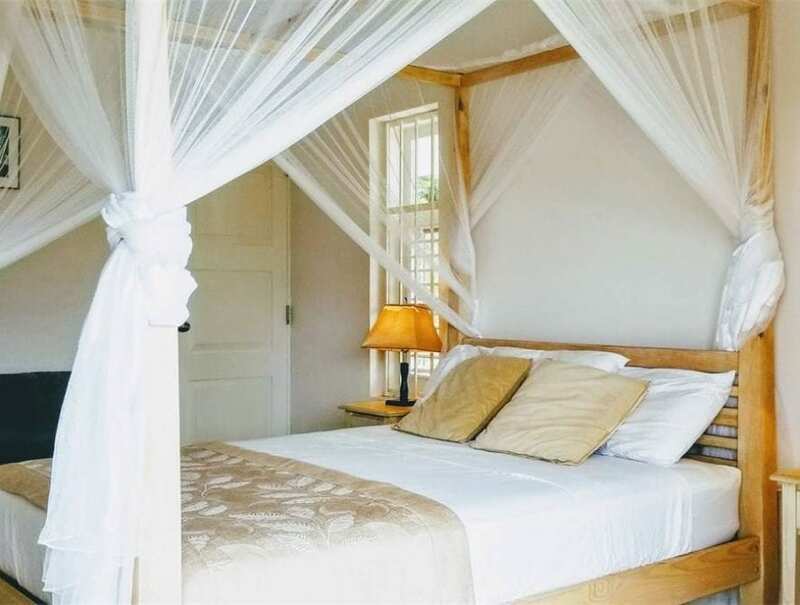 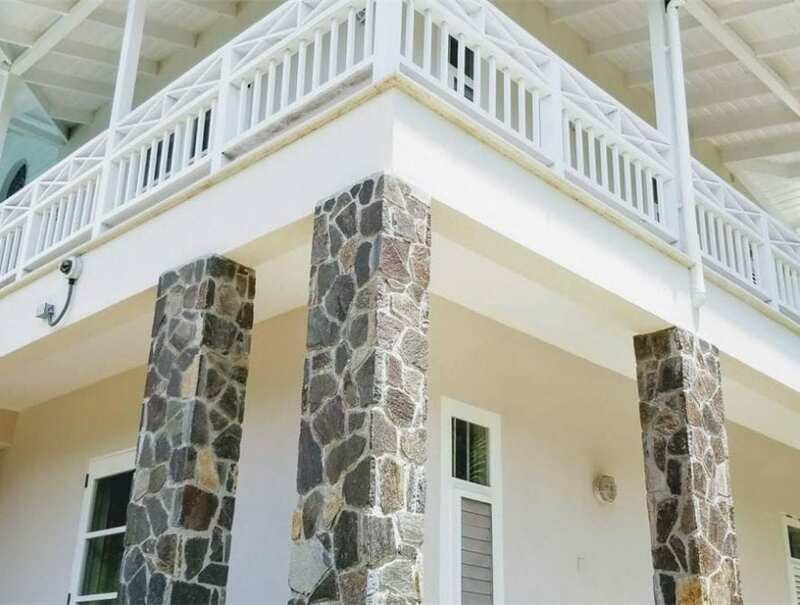 What sets Francyn apart from other properties on the island is the spectacular balcony that surrounds the main living area and en-suite bedrooms, inviting the spectacular outside in. 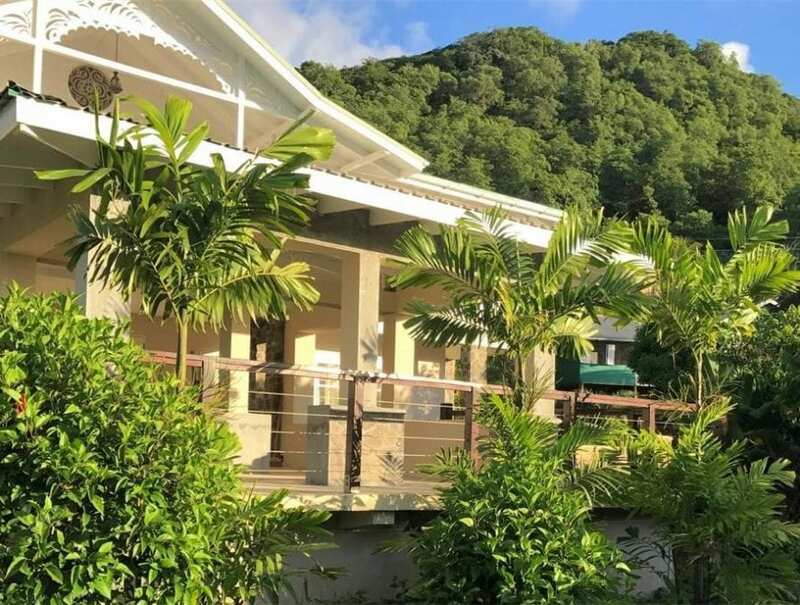 The villa’s elevated plantation design, high on the tropical hillside, gives it picturesque panoramic views of Lower Bay and unforgettable sights as the sun sets on another day in paradise. 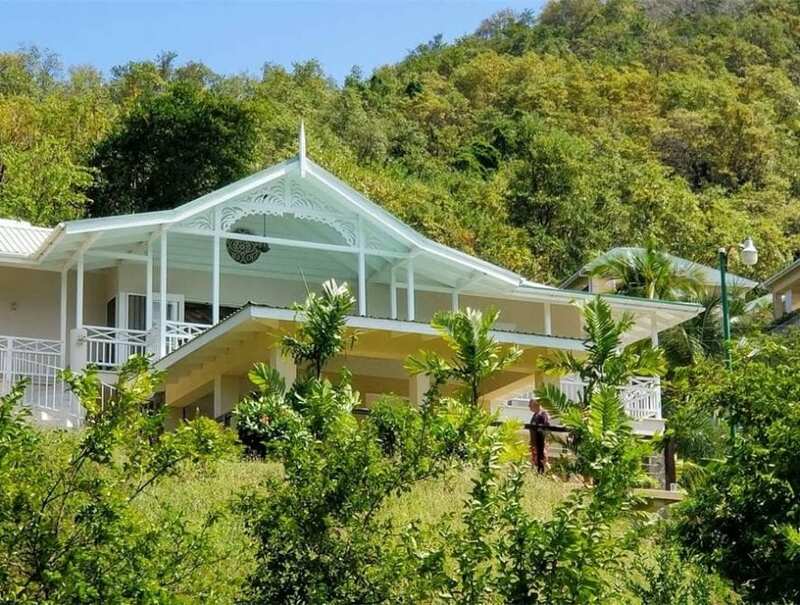 The villa’s generous half-acre plot encourages wildlife with beautiful indigenous flora, and a large deck with a generous open-air gazebo makes entertaining guests among nature a sheer joy. 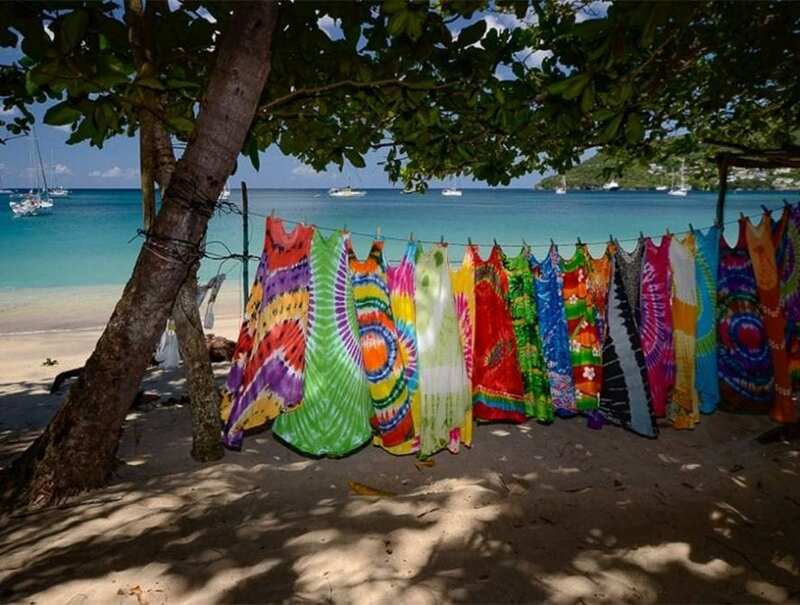 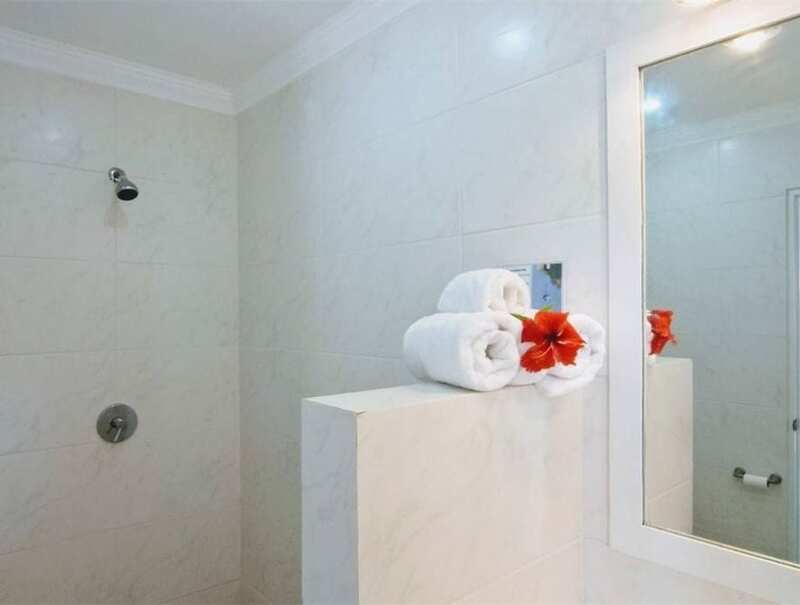 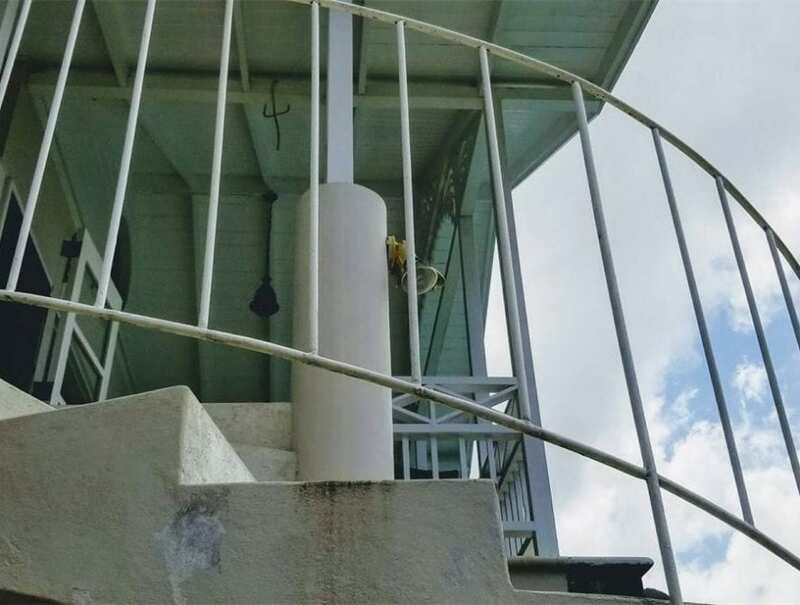 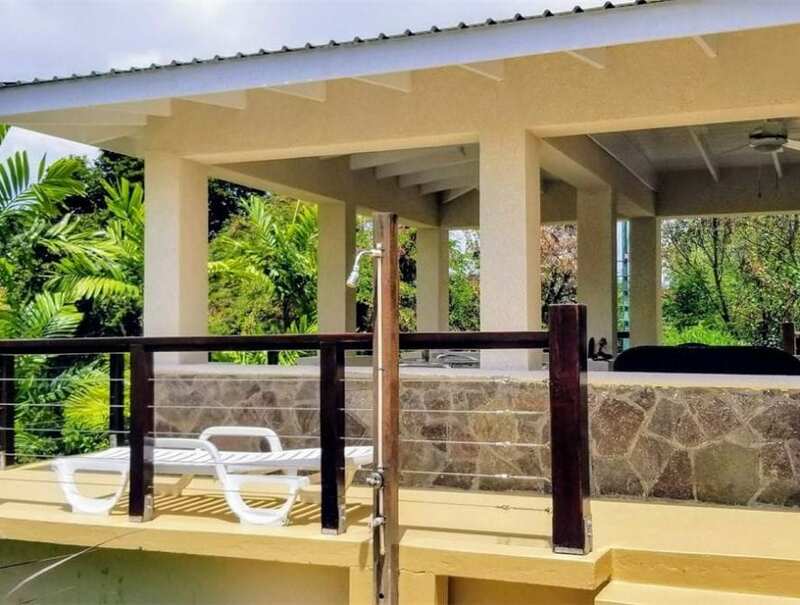 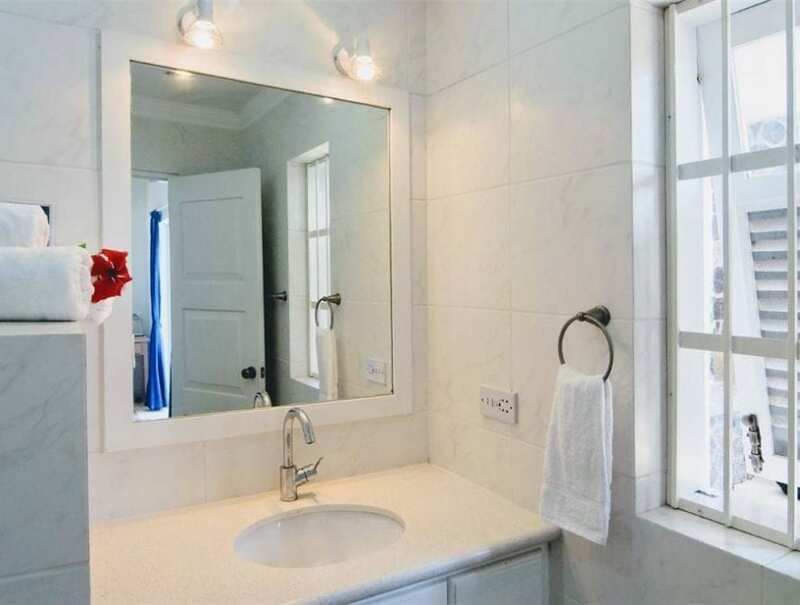 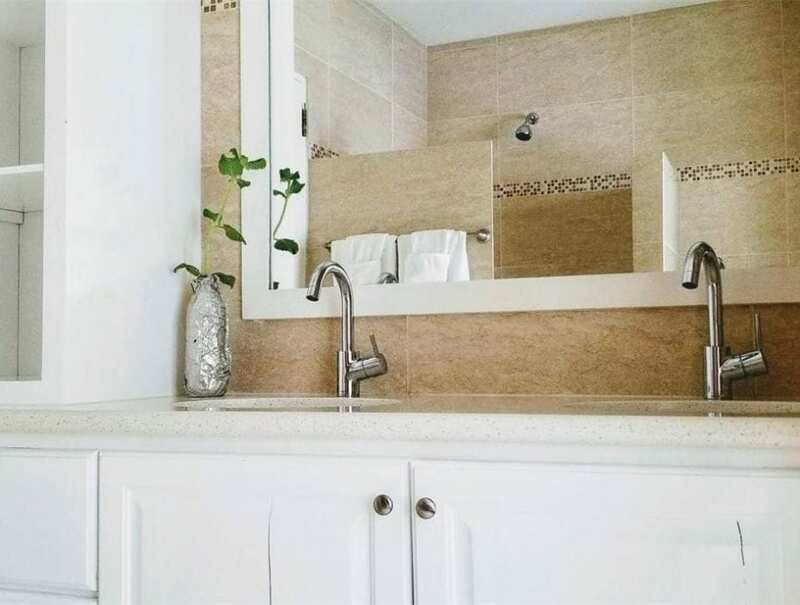 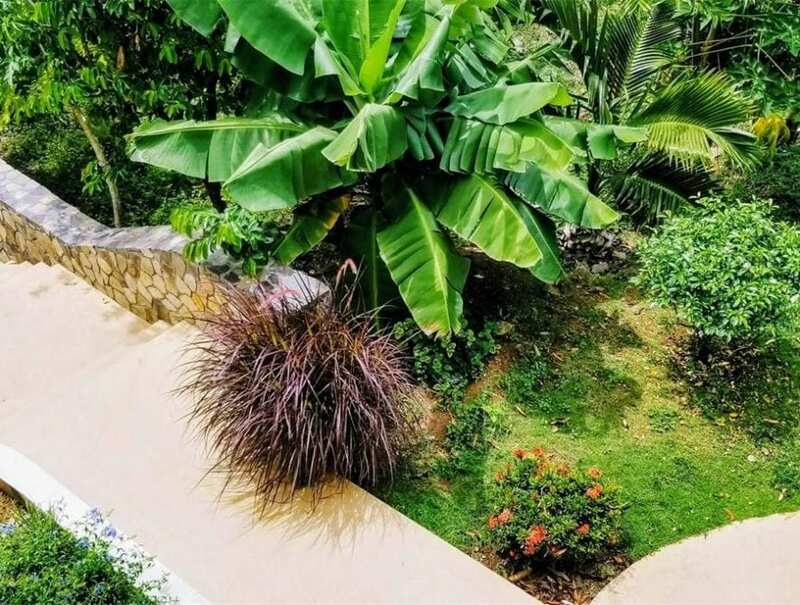 The relaxing outdoor shower connects you to your beautiful surroundings and lets you feel at one with the natural wonders of the Caribbean. 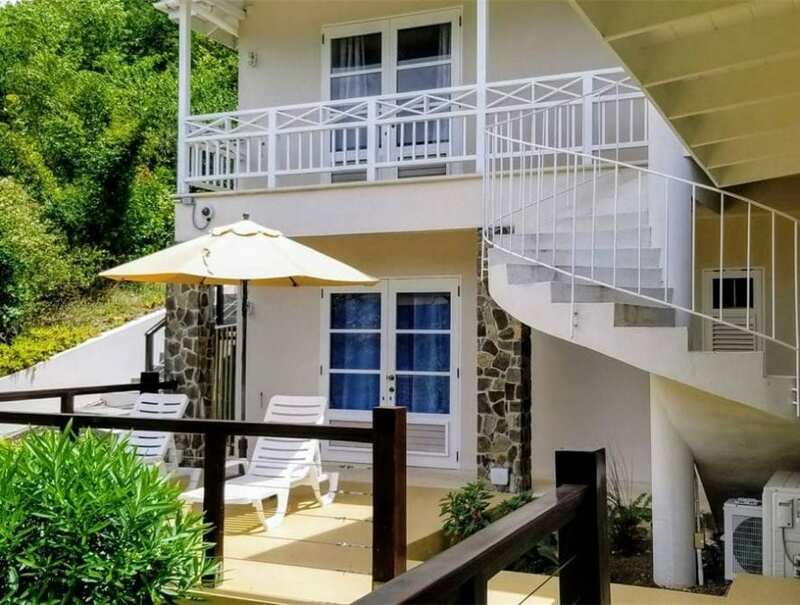 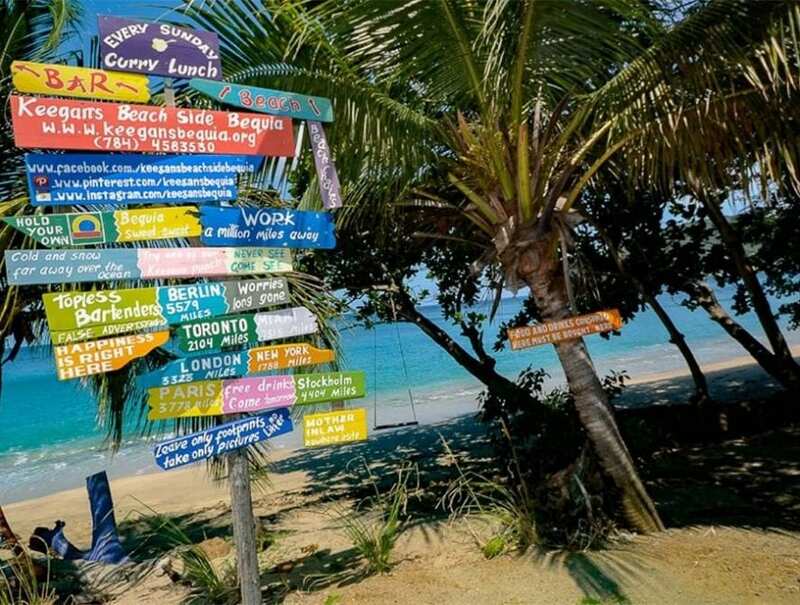 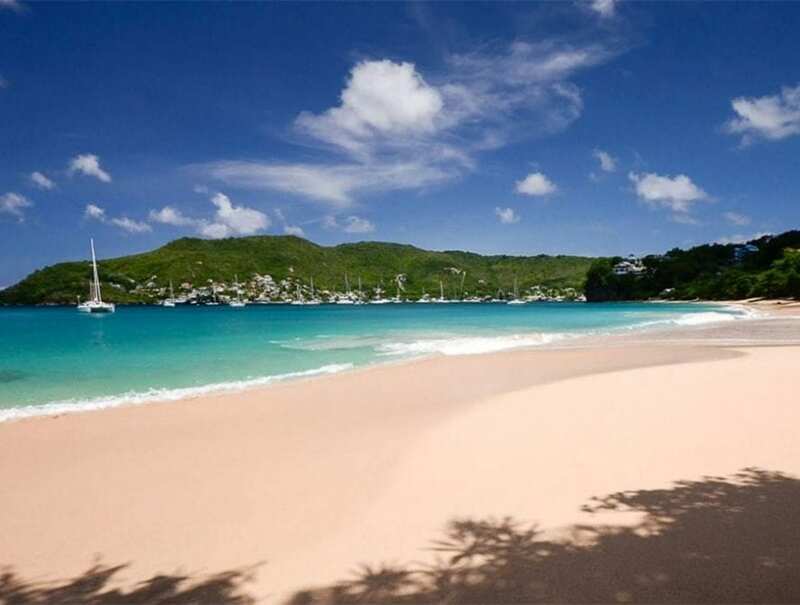 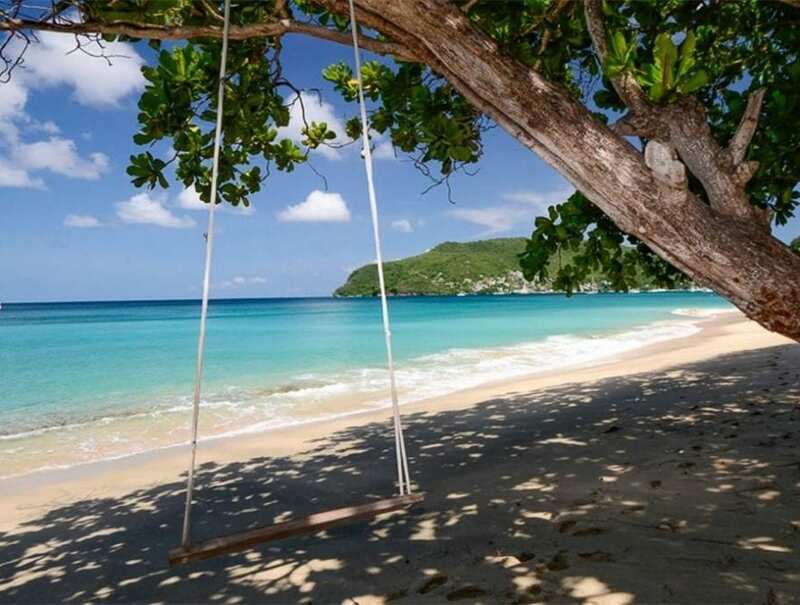 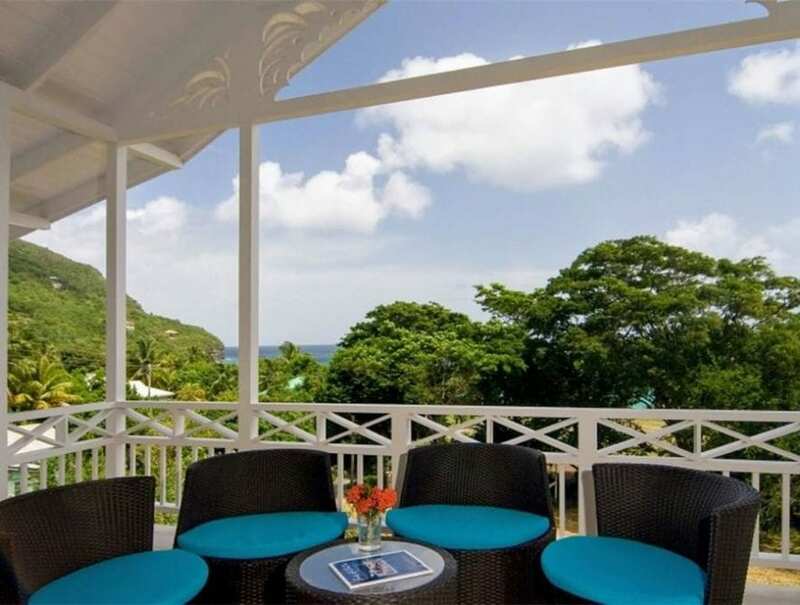 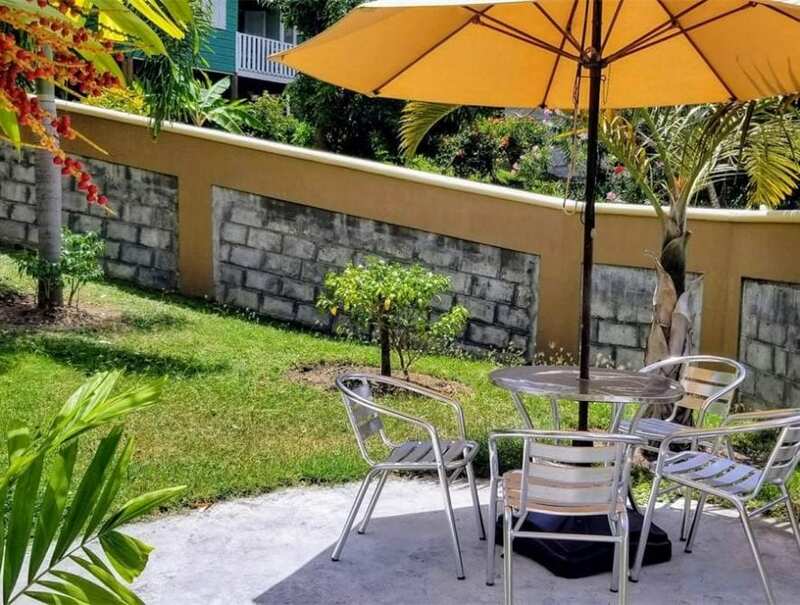 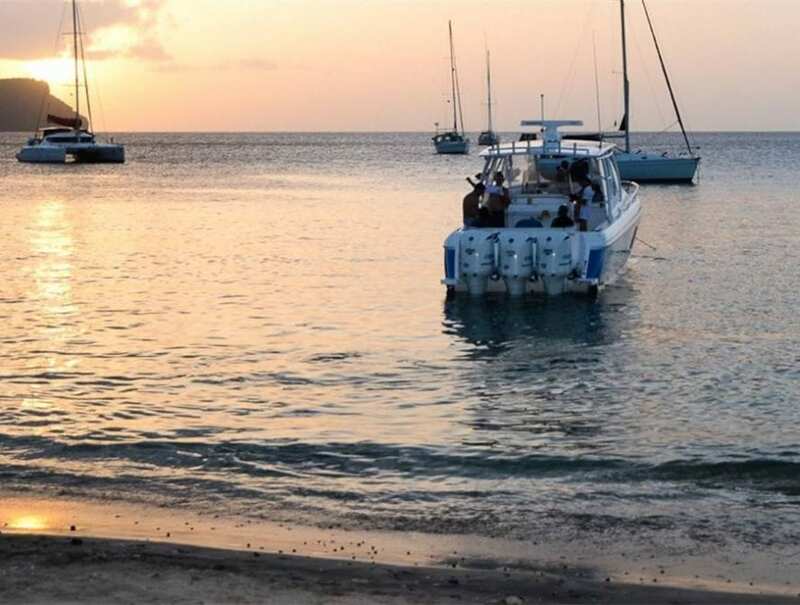 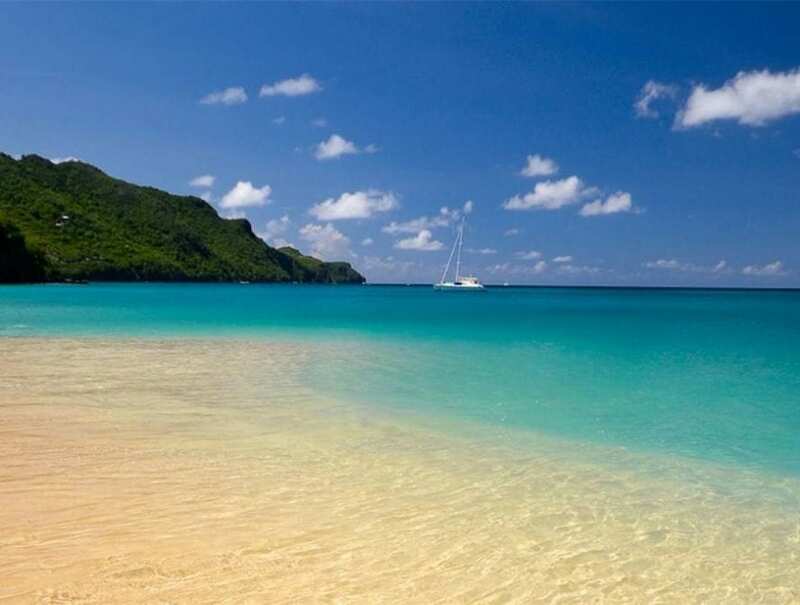 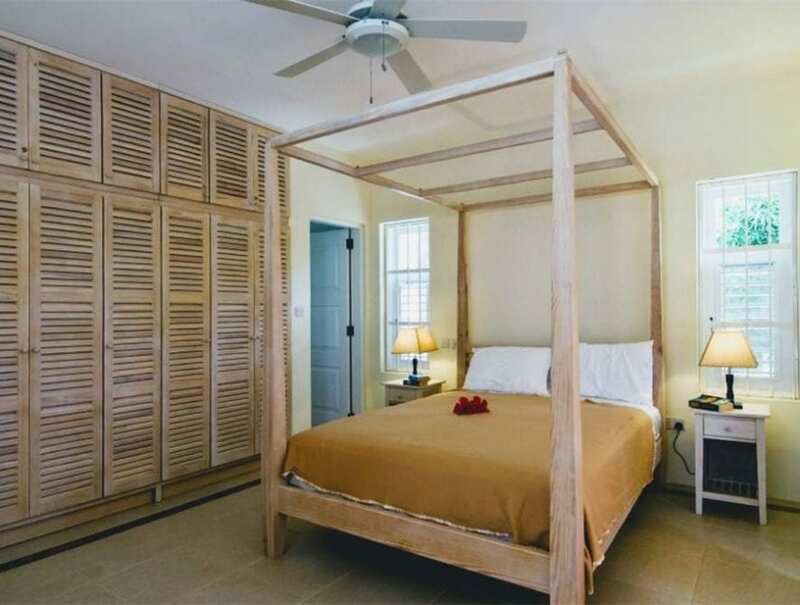 Francyn’s superior location, just 100 metres from the crystal waters of the Caribbean, allows for daily refreshing swims in the ocean, or a stroll to explore Lower Bay’s local charms. 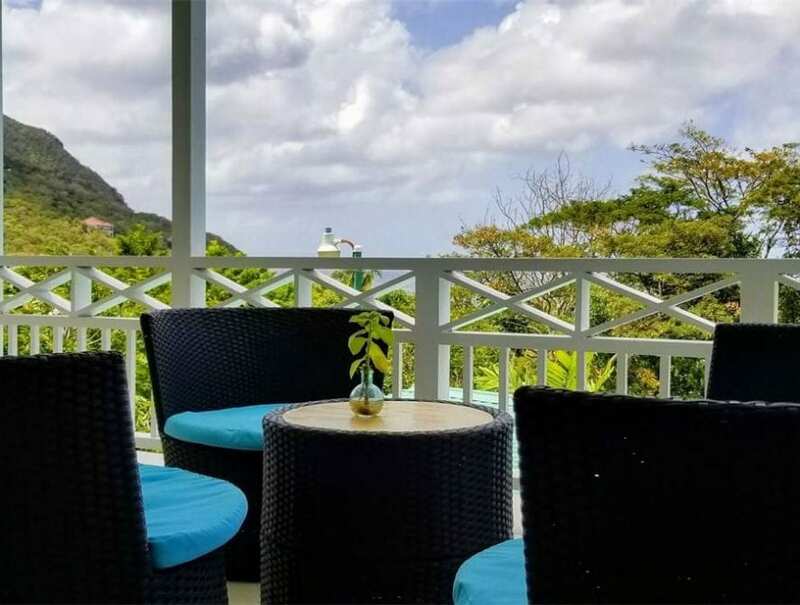 Francyn offers an outstanding vantage point to survey this idyllic tropical destination and lead an enviable island life.